As more and more people prefer getting access music with online music libraries, various music streaming services keep popping up. But when coming to choose the best one, Spotify is always on the list. Spotify is a freemium service, which offers an ad-support Free plan and a $9.99 per month or $99 per year Premium plan. Besides, it offers $4.99 per month plan for students and $14.99 per month for Family account (up to 6 members). 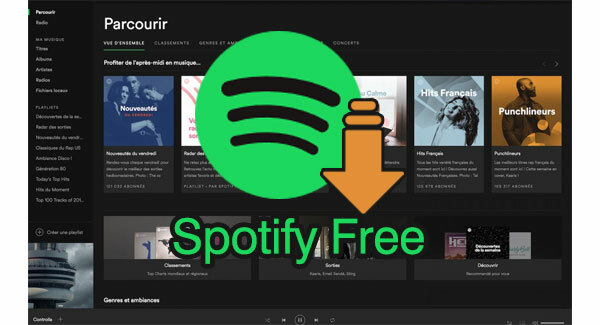 With Spotify Free account, users can listen to any song, album or playlist as the Premium subscribers, but have to hear the ads inserted between every couple of tracks. Compared to the Premium plan, the most disappointing feature for the Free plan is that Spotify Free users are unable to play Spotify songs offline, while Spotify Premium subscribers are able to download 10,000 Spotify songs per device on up to five devices. Is there any particular way to download Spotify songs without Premium? Totally yes! In this article, we are going to adopt a powerful music tool – TunePat Spotify Converter and show you how to download songs from Spotify with Spotify Free account step by step. 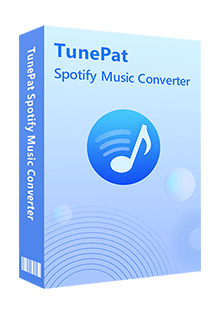 TunePat Spotify Converter is a simple yet powerful Spotify downloader. With no need to install the Spotify app, it is able to convert Spotify songs, albums and playlists to MP3/AAC/WAV/FLAC at 10X fast conversion speed with lossless output audio quality while keeping the ID3 tags after conversion. Launch TunePat Spotify Converter. Click the "Settings" button on the bottom right corner. Here you can select output format (MP3/AAC/WAV/FLAC), choose output audio quality, customize output path, organize the output files in various ways and more. Click "Convert" button to start converting the Spotify songs you chose in Step 2 to the output format you set - MP3 in Step 1. The converted files will be saved to your local computer. Once the conversion is done, you can find your Spotify songs downloaded as local files by clicking the "History" button on the bottom right corner or directly going to the output folder you customized in previous step.